How Do I Fix Apple iTunes Error -18? Update iTunes. Get the latest version of iTunes for your computer. Thank you for contacting FixYa Support. 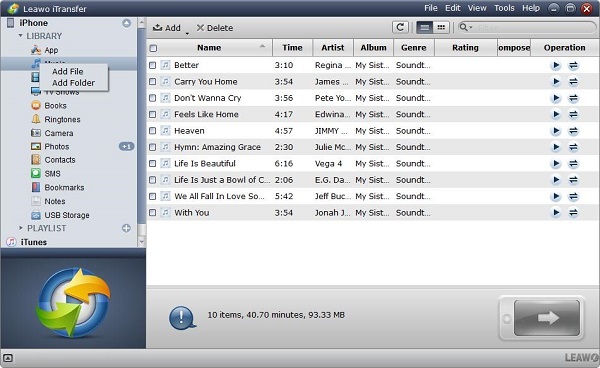 To download music onto your iPod Shuffle you first need to make sure you have the music and media Application from Apple Inc, called iTunes downloaded and installed onto your computer first. Here is the link for downloading iTunes, which is also a free download by the way. Shuffle via USB cable to your computer (if you have not already done so) and iTunes in moments will recognize your Shuffle. If you require more information, I also have this great web page from eHow which does a great job explaining step by step, just how to make sure you are successful in syncing and downloading music into your iPod Shuffle. This should help you get up and going in no time with downloading music to your iPod Shuffle. Thanks for contacting FixYa Premium Support, I hope this information has helped answer your question. If you have more questions, please feel free to reply to this post- I am always glad to assist further as you need. There are lots of methods. You can resort to online music download website, chrome extension, or music download software. Follow below steps, to know the detailed information. Leawo Music Recorder is a super recording software to help you record various kinds of music from multiple sources like online music like YouTube, computer audio, and built-in input audio. The recorded music files will be saved into an output format of MP3 or WAV. All Your Favorite Music. 100% Legal Try It Now For Unlimited Access! "The Easiest Way to Get Free Music" Works w/ Any MP3 Player. 100% Free! Legal Access to 8,000,000+ Songs. 14 Days Free then only $12.99/mo! You've got a new computer. All your music and videos are on your iPod and you'd like to populate you new iTunes library from it. Unfortunately iTunes doesn't let you transfer anything other than your iTunes store purchases from your iPod. To transfer all your iPod content, all your music, playlists, videos, podcasts and photos to your new iTunes library you will need to download software like TouchCopy. 1. Download and Install TouchCopy from http://www.touchcopy.com. Downloads are free and are available for both PC and Mac. 2. Start up TouchCopy by double-clicking the TouchCopy icon on your desktop. 3. Connect your iPod or iPhone to your computer. TouchCopy may start iTunes - don't worry, TouchCopy has fixed it so that iTunes will not sync music or video with your iPod while TouchCopy is running. These changes are restored when you quit TouchCopy. 4. Select which songs you want to copy into iTunes, if you want to select all your music, select "Music" from the list on the left and click on "Copy to iTunes" button in the TouchCopy control bar. In a similar way, you can also use TouchCopy to copy your playlists, videos, podcasts, photos, contacts, calendars, notes and iPhone SMS. When you are satisfied that all your iPod content is safely in iTunes, use iTunes to re-sync your iPod which will enable you to add new content to it. You need to use itunes as your music management software and ipod management software. You can download the latest itunes version at www.apple.com/itunes. From here you can purchase items through the itunes music store, or add your own music by adding files from your computer, or putting a cd in your computer and coppying it into itunes so you can put the songs on your ipod. The iMac G5 Repair Extension Program for Video and Power Issues applies to first generation iMac G5 computers that have video or power-related issues as a result of a specific component failure. If your iMac G5 is exhibiting any of the symptoms listed below and your computer's serial number is within the noted ranges, your computer may be eligible for repair, free of charge. If Apple or an Apple Authorized Service Provider (AASP) determines that your iMac G5 computer is eligible as part of the program, the repair will be covered by Apple for up to three years from the original date of purchase even if your iMac G5 is out of warranty. This is a worldwide Apple program. The program is available for certain first generation iMac G5 models that were sold between approximately September 2004 and June 2005 featuring 17- and 20-inch displays with 1.6GHz and 1.8GHz G5 processors. Some second generation iMac G5 computers have serial numbers that fall within the upper band of the ranges listed below. Only first generation iMac G5 computers are affected by this program. Where do I find the serial number of my iMac G5? The 11-digit serial number is located on a label under the foot of the iMac G5. There is a bar code underneath the serial number. To view the label, hold the sides of the iMac and gently lay the computer face down on a soft, clean towel or cloth. Is the iMac G5 Repair Extension program available for other Apple computers? Free guide for how to repair the motherboard capacitors, rescue the hard drive and more. You can download music from YouTube free with online music downloader. And you can follow below steps to do that. A free online converter flvto.biz is able to convert any YouTube video into MP3 with a rapid and simple way. No matter what systems you have, Windows or MacOS or Linux, your favorite YouTube video can be converted into MP3 without any trouble. You just need to copy the URL of the video you like to this online music downloader, then excellent quality tracks will be downloaded directly to your desktop. You can only listen to YouTube music without video via this online converter, as the video can be converted to MP3 320kbps or other formats you need. Then you can move the downloaded MP3 files to your phone or MP3 player for offline listening without limit. Below are the detailed steps of using flvto.biz to convert the YouTube video to MP3 on your desktop. 1. A link accessing to YouTube video must be copied firstly and then paste the link to the input field of Flvto. 2. You can select any format you need for your converted file. 3. Click on the button "Convert" and begin to download your YouTube music on your computer. An Apple ID is your username for everything you do with Apple. read this tutorial for what you can do to get your Apple Id again http://support.apple.com/kb/HT5625 and if need any technical guidance during this follow Apple ID Support . Find Apple ID. Apple ID. Enter the information below to find your Apple ID. ... More ways to shop: Visit an Apple Store, call 1-800-MY-APPLE, or find a reseller. Oct 7, 2016 - Follow these steps after you enter your Apple ID on iforgot.apple.com: Enter your Recovery Key. Choose a trusted device. We'll send your device a verification code. Enter the verification code. Set a new password and select Reset Password. Imap account have the options for transferring the data between several email clients. Have a manual for Apple Products?